This former tin mining village stands at the head of a valley that winds down to Trevaunance Cove. St Agnes is a busy village today serving the local community shows its roots in the mining activities that abound in the surrounding area, typical miners cottages and chapels are in evidence. 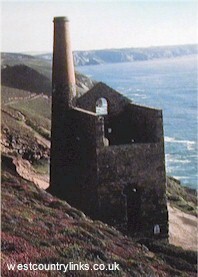 The tall chimneys of the ivy-clad engine-houses mark the sites of surrounding mines. Lanes lined with old cob cottages and pretty gardens wind off the main street. Just outside the village is St.Agnes Leisure Park with plenty of attractions set in colourful landscaped gardens..